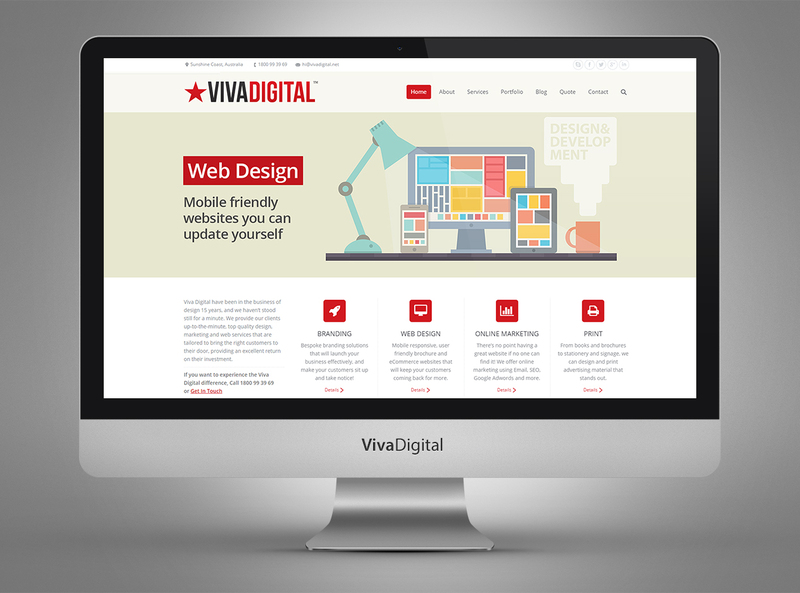 Viva Digital has undergone many changes in recent years; a new logo, new name and now a new website. It’s not that the changes were needed, it’s that they were wanted. To become complacent in an ever changing online world is something that i’m far too passionate to do. I’m constantly striving for the best solutions for clients, and often come across new ideas that I want to use too, one of these was the new layout. I know the importance of easy-navigation on a website and so it seemed logical that ours flowed as simply as possible, which I believe it now does. I love graphics. As a graphic designer with more than 15 years experience graphics are definitely a labour of love for me which is why I applied to our own website the same care and attention that’s consistently applied to the sites of clients, and as you can see the result is something really quite special. I wanted the key information such as our services, our testimonials and previous clients to be easily accessible but in a fun and exciting way, which I believe has been achieved. You’re not faced with a page of blank text, cheap clipart images or colour overload but see a professional, charming and enjoyable website with nothing omitted. They say never trust a hairdresser with a bad hair cut. They say never trust a skinny chef. They say never trust a vegetarian butcher. I say, never trust a company who promises to deliver things that they themselves do not have. I specialise in web development and design, marketing strategies and advertising, and the proof that I can deliver is on our new website. I don’t just say that we can do things, but you can see for yourself that I have done them. You can experience how easy it is to switch from page to page, acknowledge how well written the content is and appreciate the design that makes up the site. You can also be safe in the knowledge that what I have created, I can provide to you, our clients. Maybe you’re in the process of starting out with your business online? Perhaps you feel your current website needs refreshing? Are you receiving the online interest you want? Could this be more? Wherever you stand as an online business, I have the ability to increase your brand with a range of effective solutions. You can call me directly on 1800 99 39 69 or click ‘Contact’ at the top of the page.